Standing Order (Recruitment agaisnt Shaheed /Son Quota. 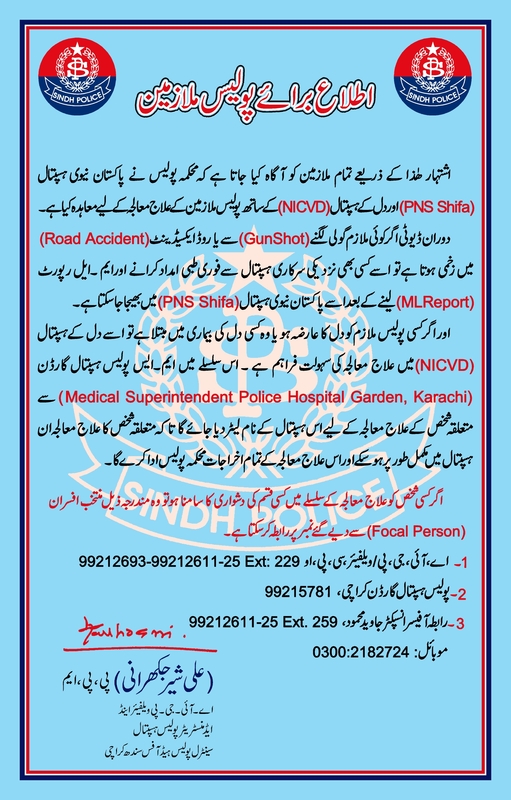 Government of Sindh, Police Department: Medical treatment of employee (Civil Servants) at private hospitals. Government of Sindh, Police Department (PPO Standing Order): Cost of Investigation. Government of Sindh, Police Department (PPO Standing Order): Distribution of work among the staff officers of the CPO Sindh, Karachi. Government of Sindh, Home Department: Recruitment Rules for the Post of Deputy Superintendent of Police. Government of Sindh, Home Department: Recruitment Rules for posts of Inspector, Sub Inspector, Assistant Sub Inspector and Constable. Government of Sindh, Finance Department: Revised Packages for Medical Reimbursement. Establishment Division Memo: Service in IB to be considered as field posting for purpose of promotion. Government of Sindh Instructions: Policy Regarding Delegation of Powers. 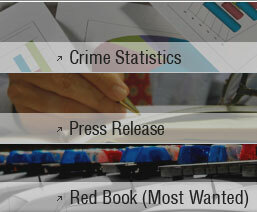 Sindh Police Access to Information Policy under AJP.